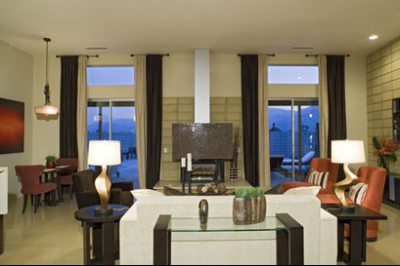 Murano is one of the newest developments in the Palm Springs real estate market. 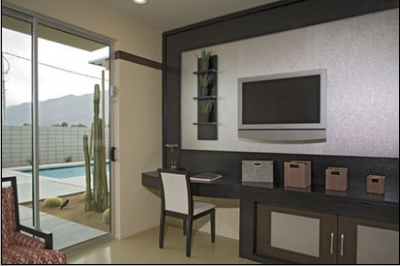 Locate just minutes from the downtown area, this new development will offer four floor plans in the desert modern style. 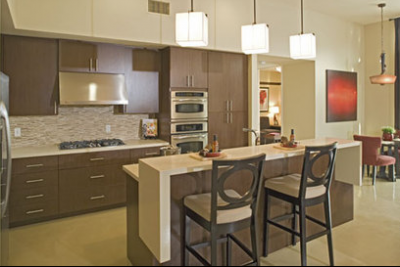 Convenient to all the amenities of Palm Springs, each home will be located on a cul-de-sac. The Murano community was developed by Enterprise California, a division of the Chicago-based The Enterprise Companies and designed by architect, James Cioffi. The goal is to pay tribute to the awesome creations of the early modernistic architects while adding a touch of 21st century technology. 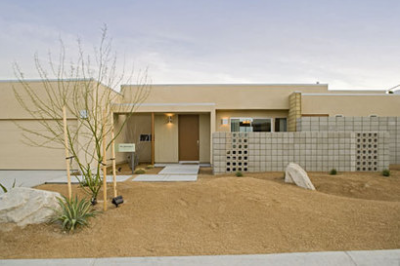 As can only be done in the Southern California real estate market where sunny days abound, each home will be placed in a position to maximize the sun’s rays and give the homeowner an exceptional connection with the surrounding desert landscape and mountain backdrop. Modern comfort and technology living as one with the peace and tranquility of Mother Nature. The homes of Murano are designed to integrate with the surrounding landscape by using natural rock formations, and desert textures and colors throughout the home. Big living spaces both inside and outside the home allow for plenty of family fun and entertaining. The four floor plans feature 3 bedrooms and 3 baths and consist of over 2,186 square feet of space, including a great room and an attached garage surrounded by spacious landscaping that includes a pool and spa. Some homes feature optional guesthouses. With amenities such as double-sided fireplaces and spacious walk-in closets, state of the art appliances and fixtures, the homes in the Murano community have a lot to offer for family fun and entertaining guests, all while enjoying the warmth of the California sun. This prime California real estate is prices in the $800,000’s. The central location makes it the perfect area for young families. Murano is located just minutes from local shops and boutiques, art galleries, hospitals, and schools. Near enough to downtown to enjoy all that Palm Springs is famous for, including the exciting nightlife. Great schools, quaint shops, museums, and plenty of adventure in the California desert make Murano irresistible for growing families who like the best of both worlds, where the city life meets the private life that can be found in each little cul-de-sac in the Murano community. Have you been searching for a place where you can raise your family in a peaceful, quiet neighborhood and have easy access to fun and excitement for both children and adults? 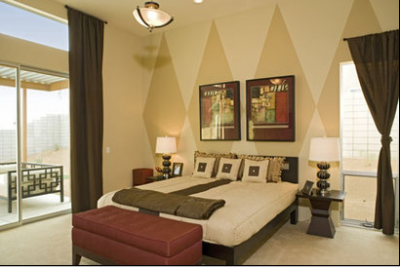 The Murano community is located in just the right place, and these new homes are ready for your viewing pleasure. If you would like to see property at Murano, please call us at the numbers below. Were committed to helping you find the home of your dreams.